James had every reason to be scared of people. 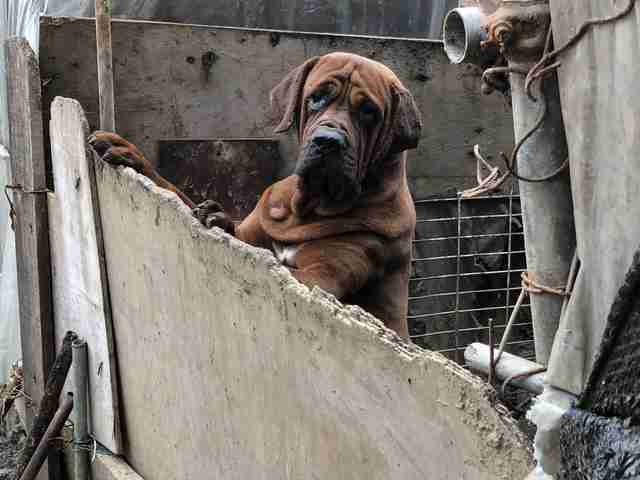 The 3-year-old mastiff once lived in a dilapidated pen at a farm near Pyeongchang, South Korea, along with around 84 other dogs. This was no ordinary farm — James and the other dogs were being farmed for their meat, which would be sold in the dog meat trade. 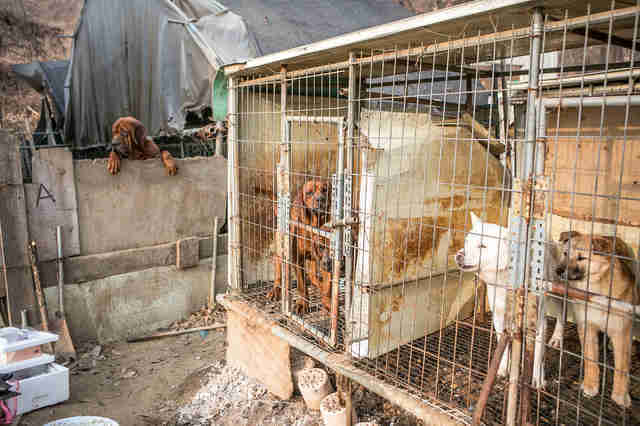 While the dogs waited to be slaughtered, they lived in horrible conditions. Their cages were overcrowded, and there wasn’t much to protect them from the snow or sun. 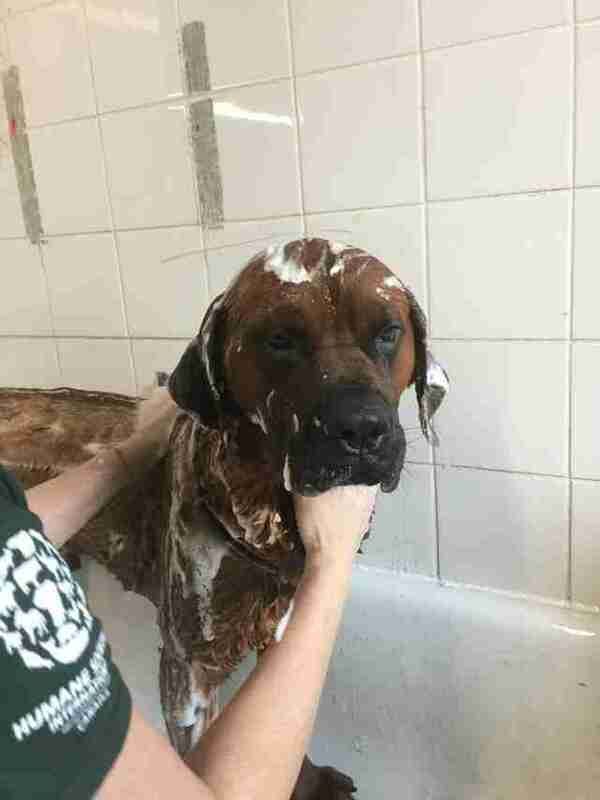 But in February, things changed for James and the other dogs. The farm owner had a change of heart, and approached Humane Society International (HSI) to shut down the farm and help him transition to another career. 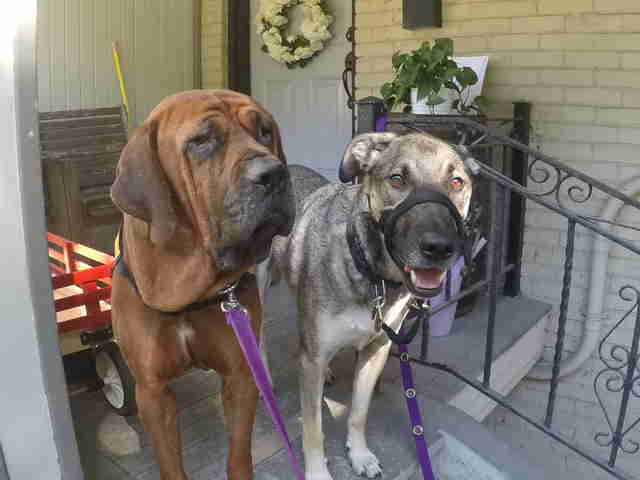 In February, a team from HSI arrived to start pulling the dogs from the farm and transporting them to Canada. The team immediately noticed James, who jumped up on the side of his pen to watch the goings-on. But when the rescuers tried approaching James, he shied away. 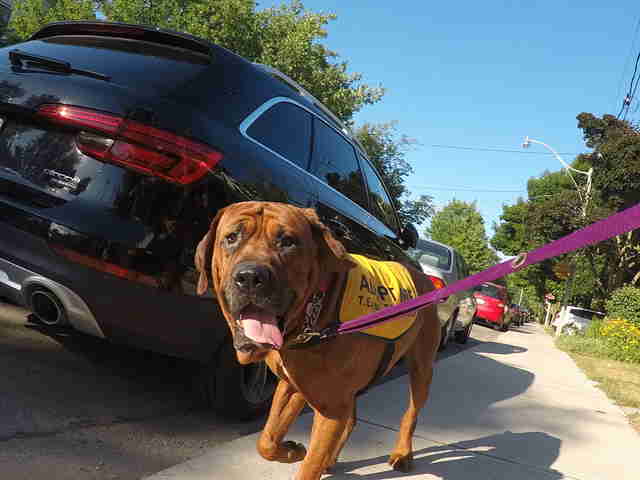 “He would kind of run around, and the first time we tried to put a leash on him, he got really scared and started flipping out, so we took it off,” Parascandola said. 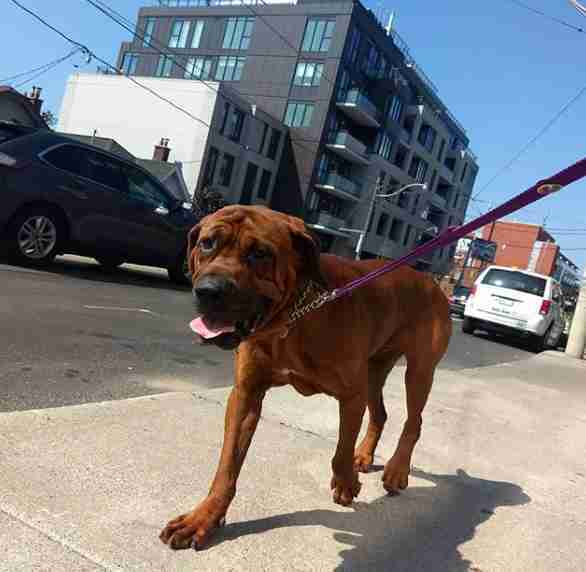 When James arrived at the HSI rescue center in Montreal, Canada, he was still wary of people. 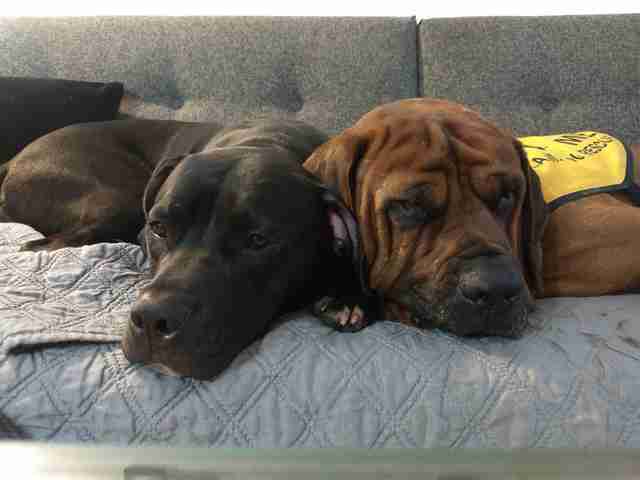 The team initially placed James in a foster home with no other dogs, thinking this would be the best thing for him — but it didn’t go as they expected. They tried a different approach. 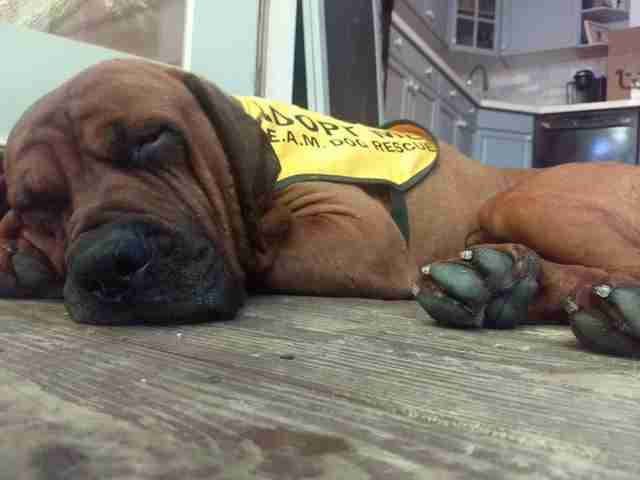 A few days later, James moved to Remedios’ home, where he’d get to live and interact with other dogs. At first, there wasn’t much improvement. On the other hand, James loved hanging out with the other dogs in Remedios’ household. James has been living with Remedios for about a month now, and he’s making huge improvements each day. 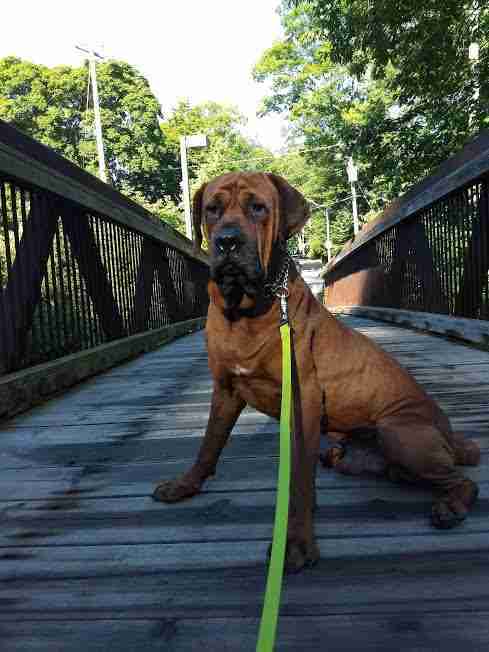 James is still looking for his forever family, and Remedios believes the best home for him would be one with another dog. 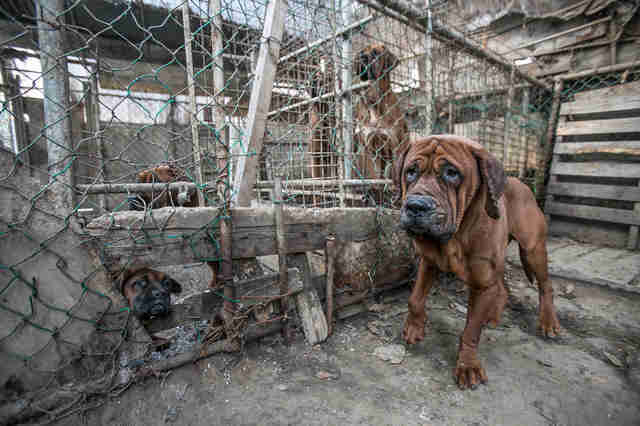 While James and the other dogs from this farm were lucky to be rescued, the dog meat trade is still a huge issue in South Korea, as well as in other countries in Asia. 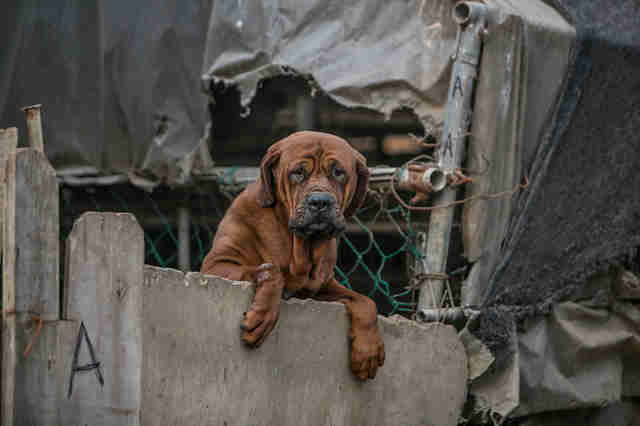 There are approximately 17,000 dog meat farms in South Korea, and 10 million dogs are slaughtered for their meat each year in the country, according to Korean K9 Rescue. Yet animal welfare advocates are working hard to put a stop to dog meat farming, and are saving and rehoming as many dogs as they can. If you’re interested in adopting James, you can contact T.E.A.M. Rescue. 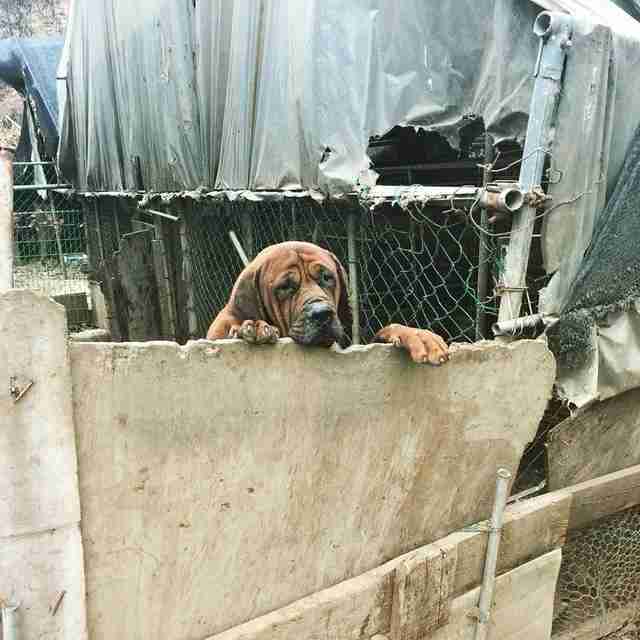 You can also help rescue other dogs from meat farms by making a donation to HSI.